The watch, which is designed by Crispin Jones, shows the hour hand that says, "remember" and the minute hands says, "you will die". This is the perfect watch that will remind anyone of carpe diem and to live your life to the fullest because tomorrow is not granted. 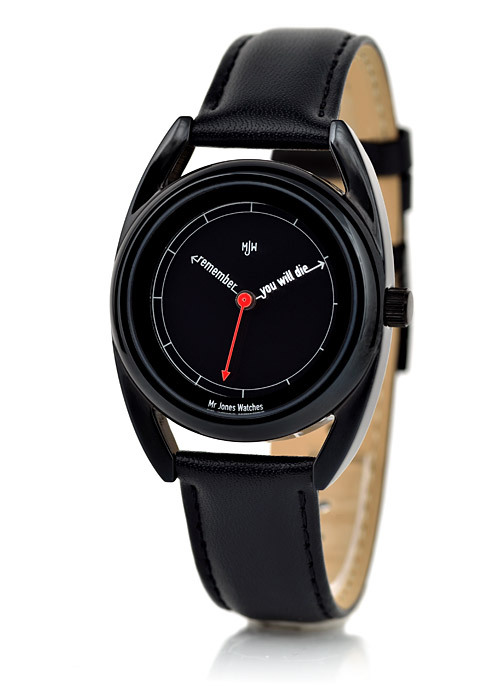 The "Remember You Will Die" watch can be purchased at MrJonesWatches.com.